For over two decades now, the Cessna C560 Citation V continues to be every jet setter’s reliable aircraft for short range flights. This aircraft has two engines which can cruise at a 787-km/h speed. If you’re flying within a 680-kilometer range, this plane is exactly what you need. This 7-seater jet can fly your from Ontario to Quebec. You may even go to as far as Massachusetts or Connecticut with this plane. Among other jets within the same category, most passengers consider the Cessna C560 Citation V to be one of the most spacious. Complete with a galley and lavatory, the Citation V can also ensure you’ll have a comfortable stay all throughout the flight. It’s usually equipped with complete in-flight entertainment systems. The plane also has fold-out tables, so you may opt to still work on your laptop or conduct your transactions while in flight. The Cessna C560 Citation V can steadily fly as it is powered by two, Pratt & Whitney Canada turbo fans. 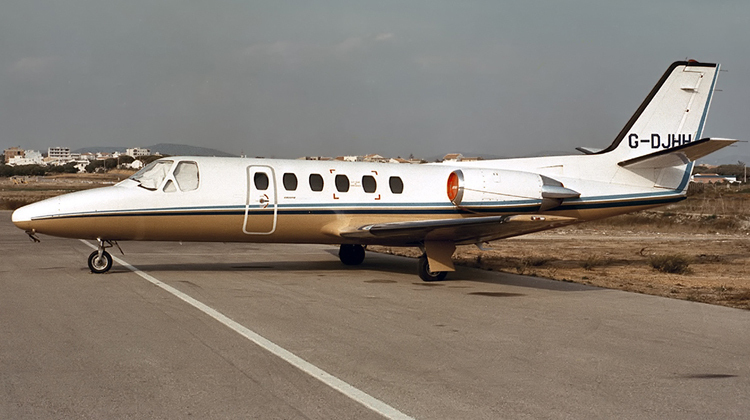 As an improvement of the Citation II/SP, this aircraft has a slightly stretched fuselage to provide more spaciousness within its cabin. This plane format currently has a 17-feet long body, enough to keep its passengers comfy in every flight. You’ll certainly feel free to stretch out your legs while riding the aircraft, since its seats have spacious legroom. This aircraft’s standard configuration includes a lavatory along with one galley. Should you need to bring more bags as part of your luggage, be sure to ask if your chartered service has compartments to accommodate your bags. Upon chartering for a Cessna C560 Citation V flight, you’ll find it can speedily take you to farthest possible locations in just a few hours. There were adventurous pilots who flew this plan on such as short strip. However, it’s advisable to plan out your flight within at least 4,800 feet’s worth of distance. Still, such flight demonstrations can be telling of how powerful this plane can get when it comes to landing and takeoffs. The Cessna C560 Citation V has been in operation for quite a while now. Hence it would be advisable for you to further check on the performance specifications of the service you’ll exactly be having. This way, you can make sure your agreed flight plan and schedule will be met. 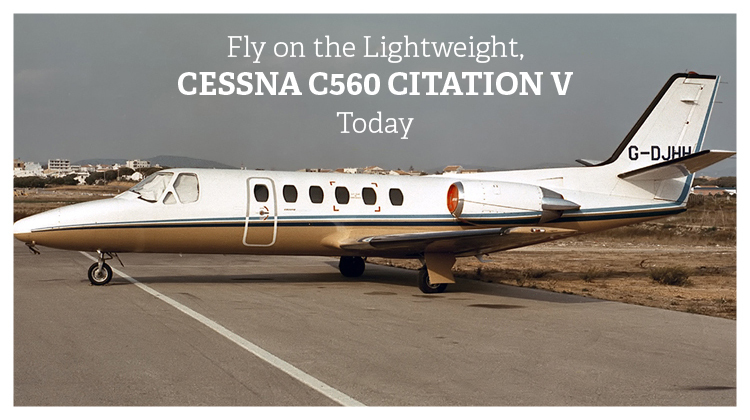 The Cessna C560 Citation V was manufactured by the Cessna Aircraft Company. It serves as a predecessor of aircrafts which intended to function as a military aid for the United States Army and Marine Corps. Today, this sturdy aircraft continues to be flown for short range destinations. Charter providers have its interiors customized and updated to meet the changing needs of private flyers.